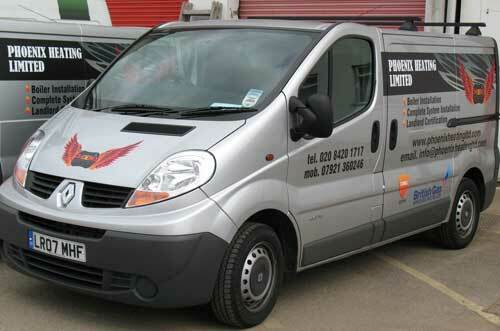 For vehicle graphics or vehicle sign-writing in London, call Eastcote Sign & Display in Wembley. Owner of Eastcote Signs, Michael Cotton, has 40 years experience in the signage industry. Eastcote Signs regularly design and install vehicle graphics and vinyl lettering for many London-based businesses, including Dagenham Motors and J&B Construction. Whether you drive a small van such as a Citroen Nemo or a or a long wheelbase Ford Transit van, we can take care of your vehicle graphics needs. We have templates for every domestic and commercial vehicle, ensuring we can tailor your vehicle signage needs to the vehicle you are driving. We regularly supply and install vinyl lettering and vehicle graphics for HGV owners and operators. From goods vehicles to tipper trucks and low-loaders, there's nothing we can't handle. We've been working with catering van owners for many years, particularly those who serve Wembley Arena and Wembley Stadium. From hot dogs to burgers, we've got the experience and the graphics to design and decal your catering truck, trailer or van. Copyright © 2010 Wembley Vehicle Graphics. All Rights Reserved.